The visual appearance of your living room will surely be upgraded with the majestic stature and the thick and delicate leaves of the asparagus fern. 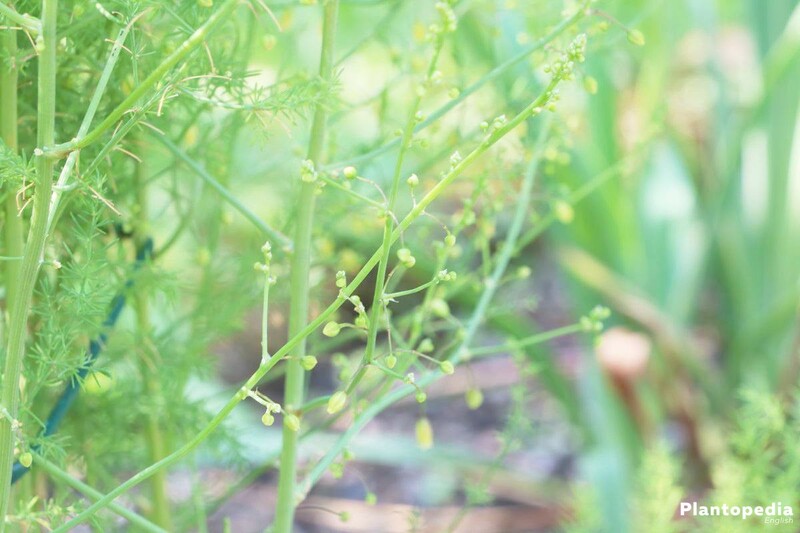 The strong relative to the vegetable asparagus impresses with its decorative, climbing or hanging vines which reach a height of up to 150 cm. 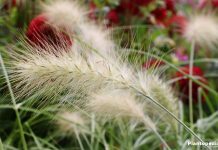 In order for it to reach its full growth potential, one has to abide by some rules, as it all depends upon the proper care. This instruction will fully explain how to successfully cultivate an asparagus. 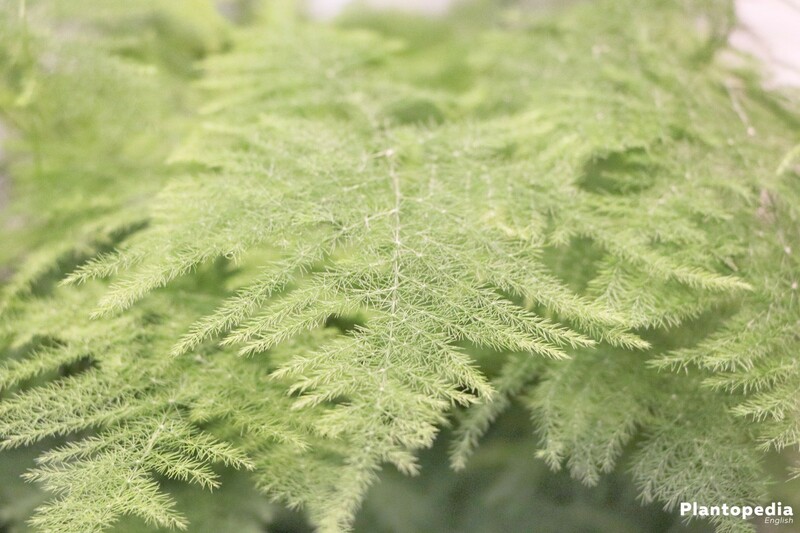 The asparagus fern places itself in position in your living room with its needle-like leaved vines and ferns. 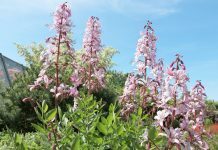 The majestic leaf plant can be arranged along a trellis or the innovative hanging basket and will serve as a floral design feature, without requiring much taking care of. 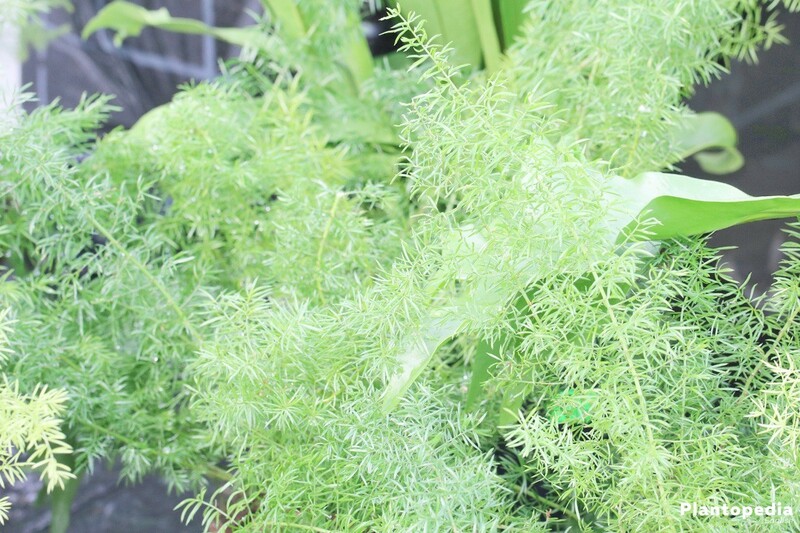 The South African asparagus fern has conquered the hearts of every hobby gardener as it, compared to its close relative, the delicious edible asparagus, does not require cool temperatures and has thus established itself a dominant indoor plant. This care instruction will shed a light on every aspect of a successful cultivation in a detailed and practice-oriented manner. 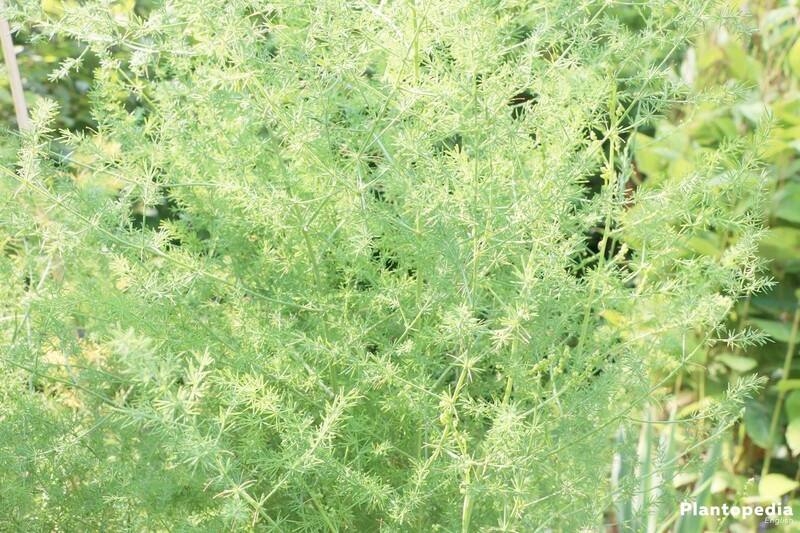 The explicit designation of asparagus fern has been allocated to the species Asparagus densiflorus. More species which can be, stated by gardeners, allocated to the asparagus fern are, due to their similarly decorative habitus, the Asparagus falcatus or the Asparagus setaceus. The following care instruction hence includes all of the asparagus species’ which have made a name for themselves as being able to be cultivated indoors. All varieties of the asparagus fern prefer a bright location which will not be under direct sun exposure during midday. The asparagus proves also as flexible concerning ideal temperatures. As long as the quicksilver scale rises above 10 degrees, all is well. 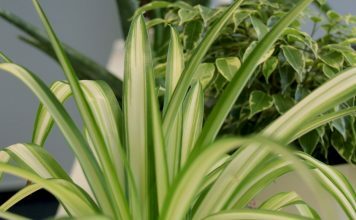 The recommendations and challenges are opening up a multitude of options to integrate your indoor plant in the decorating of your living room. A location outside will be tolerated by the asparagus fern as long as the temperatures are not falling under 10 degrees Celsius. 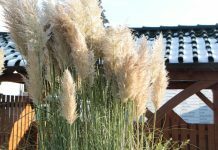 There is no objecting to replanting the impressive ornamental leaf plant on your balcony or terrace between the middle of May and the beginning of May. Please select a half-shaded location, sheltered from wind and rain. 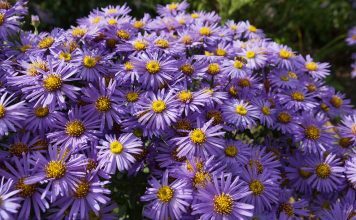 Creative hobby gardeners integrate the opulent green plant into off-sun flower-beds where the evergreen, thick vines create a marvelous contrast with the luminous colors of the blossom. In order to do this, simply place the asparagus in a pot with a trellis and soil in order for the plant to be stored by winter in an unproblematic fashion. 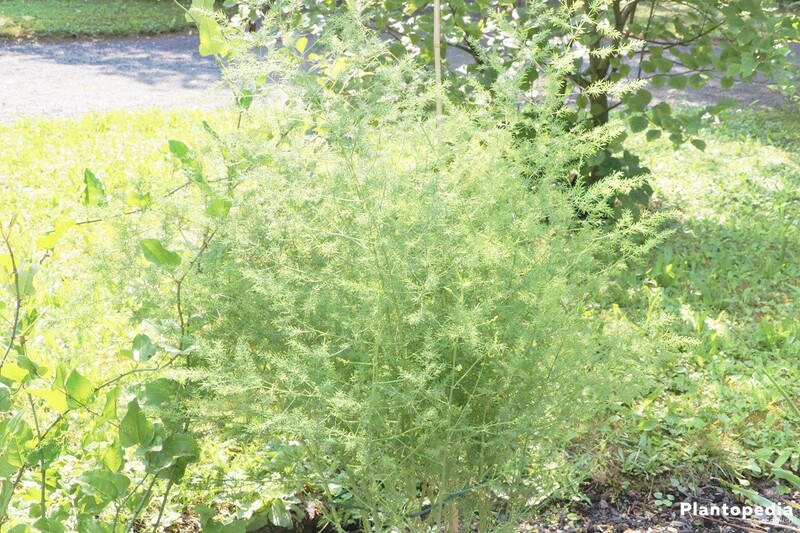 Asparagus fern, which inhabited the tropic regions of Africa, prefers a humidity of 60 percent and higher. The beauty of the leaves is often being used in order to decorate the rooms with a humid ambiance. Place the plant for instance into a bathroom, an indoor pool or near a sauna or other spa-rooms with sufficient light exposure. If you however place the asparagus in your living room, make sure to balance the low humidity with humidifiers, an indoor fountain or an aquarium. If you fill the trivet with gravel and water immediately near the plant, you can create a moist micro climate near the plant. Make sure that no water can reach into the substrate through the substrate. If you spray your foreign plant every day with soft water, it will grow to a real beauty. This applies for the vegetation period, which lies between April and October. The water needs of the tropic half shrub are at a high level during the growth phase; and sinks gradually which progressed growth. This watering rhythm adheres to the same watering mechanism applied in the original habitat of the plants. In these regions, during the rainy season, 80% of the total precipitation rains down in these months. The remaining 20% rain down during the cooler dry period. 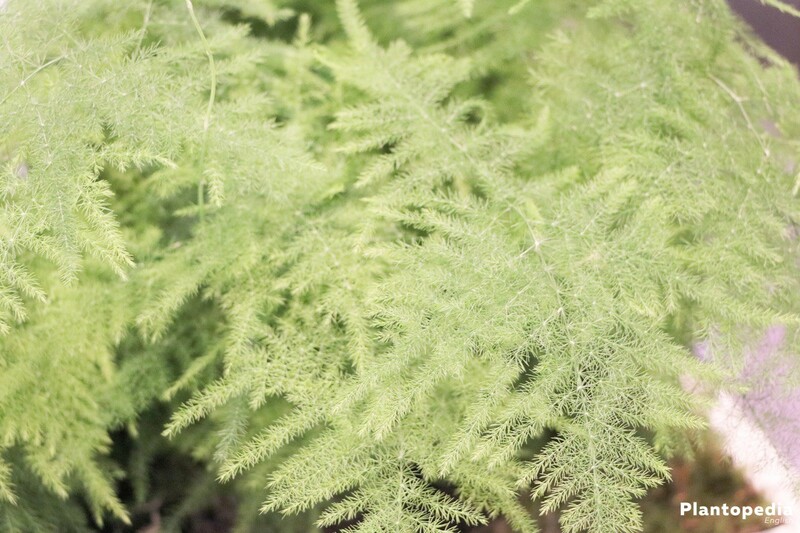 The asparagus fern proves its undemanding nature with the aspect of nutrient supplication. 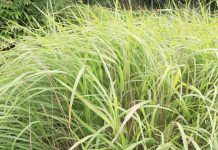 Little to middle sized plants have to be fertilized with a liquid fertilizer for green plants between April and September in a biweekly cycle. 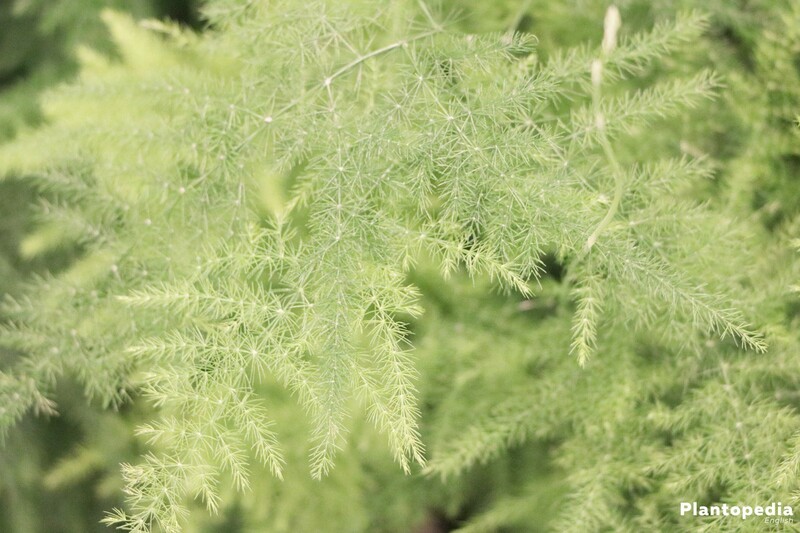 A majestic asparagus which can reach a height of more than 100 cm can be spoiled with a weekly fertilizing. Cease the nutrition supply between October and March. 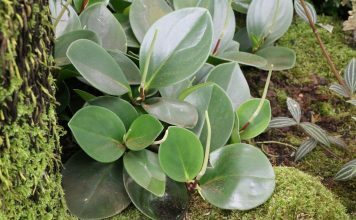 Thanks to its high tolerance to cutting, keeping the exotic ornamental leaf plant in an ideal form is not a hard task. Shoots which are too long in size can be cut with no problems. If your plant steps over the desired for growth dimension, you can apply a radical cut. For this intervening measure we recommend a date which is set toward the winter resting period in March. Concerning older plants we advise looking out for possible thorns which have grown in the wooden part of a vine. 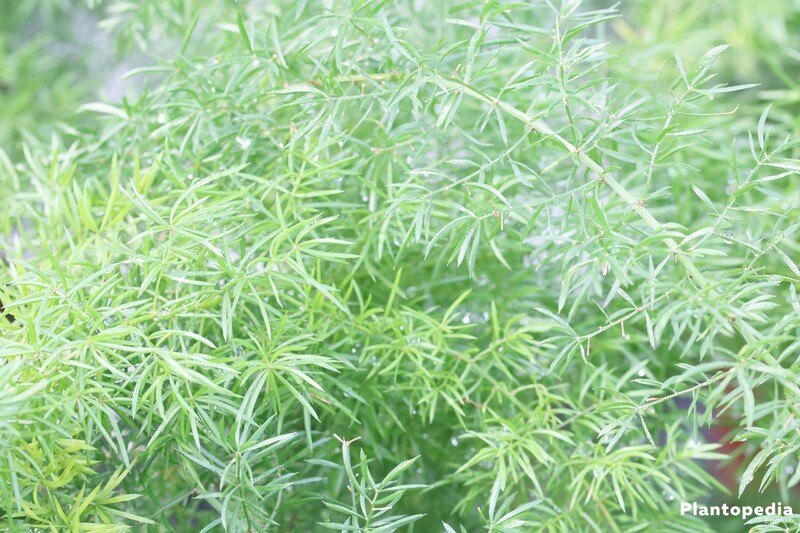 With a progressed age, the asparagus fern might surprise with a scented white blossom. Do not cut down the withered inflorescence, as decorative little berries could grow from them. 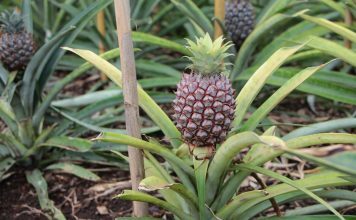 As this care instruction has already shown, the cultivation is directed towards the two tropical vegetation cycles with respectively a hot and moist raining period and a cooler dry period. This is how you get your asparagus fern through winter time without any damages. A consistent care is possible with room temperatures, however carries negative effects on the durability of the tropical climbing artist. Warm and dry air indoors are proving problematic during cooler periods. Prevent, thus, placing the plant near a radiator and continue the regular spraying. The strong rhizomes will have completely taken over the pots in a two to three year cycle. If the root strands are growing out of the root strands, the care program is being extended with the aspect of “replanting”. An appropriate date for this measure is March, shortly before the new vegetation period commences. Take a special focus on the quality of the substrate. 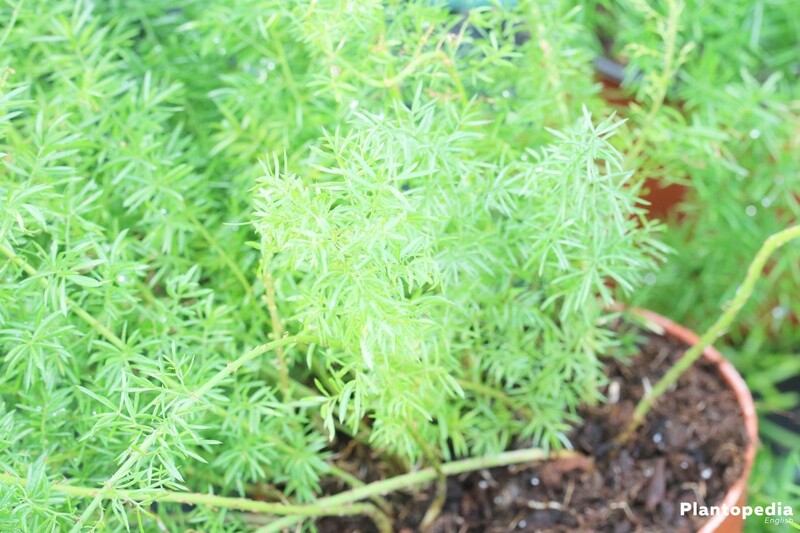 An ordinary potting soil should not be used as the asparagus fern relies on spreading its strong roots over several years. The high level of peat in this kind of soil eventually leads to a compression which in return has negative affects on permeability and water storage. Take a structurally stable bucket potting soil based on compost with little to no peat. A great choice are high quality clay substrates with natural clay, bark humus, coco fibers and perlite. Ideal for asparagus fern is the peat free standard soil CL T Classic with coco peat, wood fibers and substrate compost. Characteristic for asparagus is the strong root system with thick rhizomes. These have the inclination to push upwards during the growth period. Choose a pot which leaves a sufficient distance between the substrate and the edges of the pot so that the roots have a sufficient amount of space. An opening in the bottom of the pot is necessary in order to prevent water logging. Keep a clear sight on the root ball in your focus while replanting the plant; use this measure for cleaning. Rotting and small root strains can now be removed. Tightly press on the earth and water with a sufficient amount of water. Plant every partial piece into a fresh, loose substrate and water sufficiently. It is important to keep a focus on adhering the previous plant depth. Take care of the young asparagus like it is an adult plant. 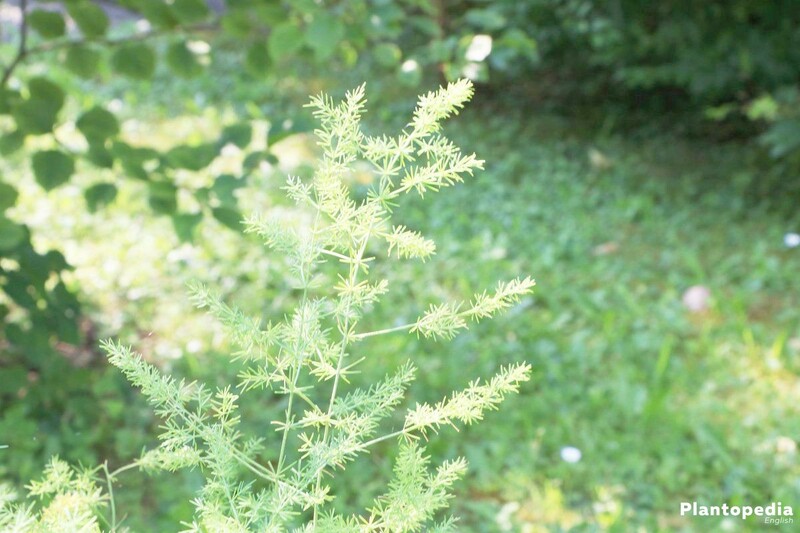 Asparagus fern is not usually very susceptible to diseases. If any health problems occur, they result out of a lack of care. The changing of the colors is mostly an indication on soil wetness and rarely on dryness. Check the substrate with thumb testing. 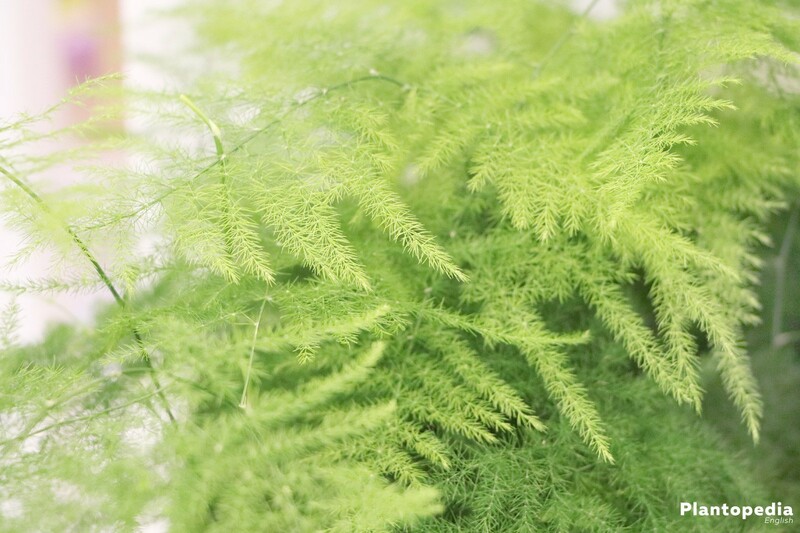 If it should be fully wet, replant the suffering asparagus fern in fresh earth and reduce the amount of water. It is mostly scale insects which target the asparagus as an indoor plant. Independent of the exact classification of the insect, most of them have the necessary mouth tools to rob the asparagus fern of its life. As the insects are masters of camouflage, you should regularly check the stability and any occurrences of infestation of your plant. 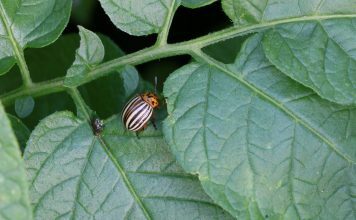 First indications of infestation are white webs, spots and humps on the leaves with brown honeydew on the crusted shoots. As scale insects are inclined to reproduce explosively, other plants could be affected as well. It thus makes sense to quarantine an affected asparagus fern. In order to do this, choose a bright, cool room with temperatures between 10 and 15 degrees Celsius as those conditions are unbearable for the insects. If the recommended household remedies do bring any positive effects, you should apply systemic insecticides. For the application indoors, stab forms have proven effective as they are added into the substrate and are fighting scale insects through the plant lines.